My wife, who watches a lot of British shows (from here in the US), guessed it as the home of Doc Martin. 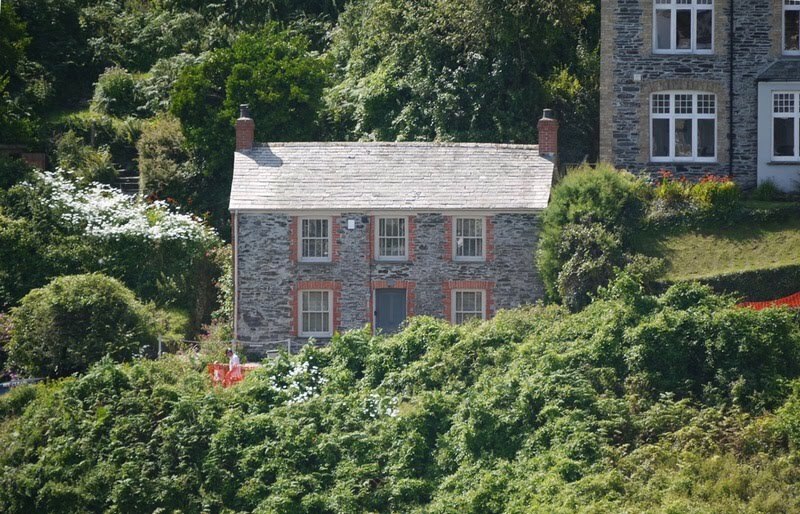 That there is Doc Martin's house, right? It always looks weirdly Lilliputian for some reason. Doc Martin it is. 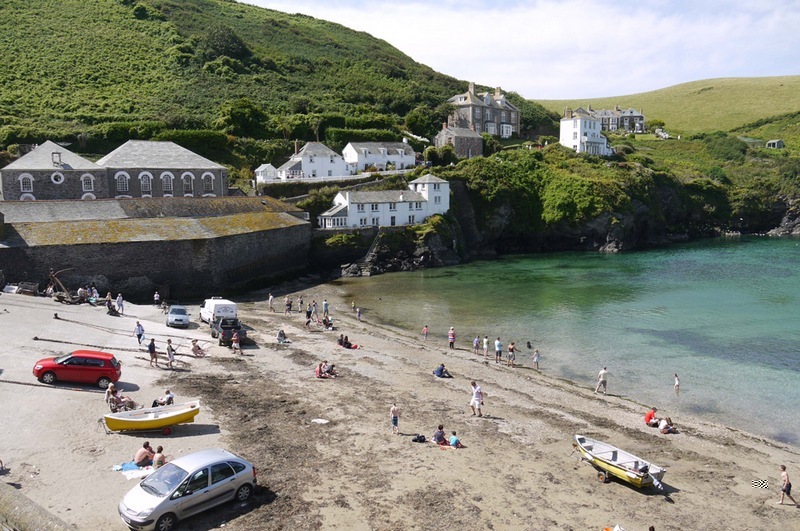 Port Isaac, Cornwall - well done! Chances are Amy Pond's house is local to me - most of the Dr Who locations are - but I don't know where it is. 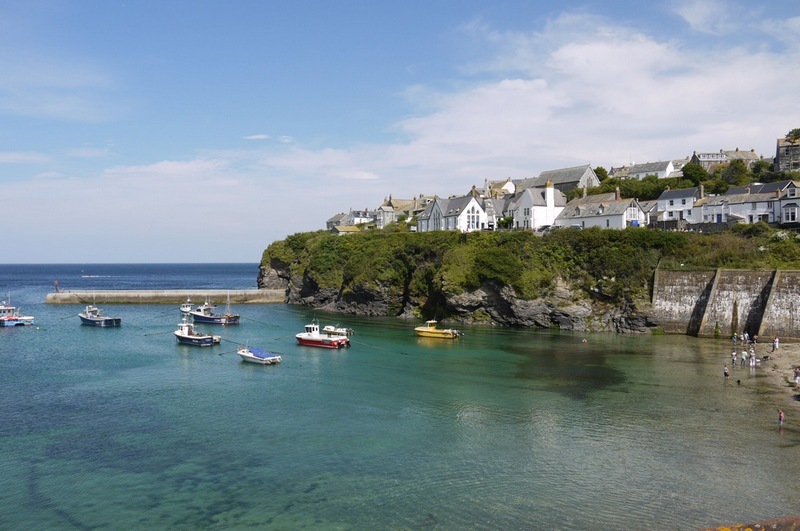 As a Cornish native, welcome to our county! 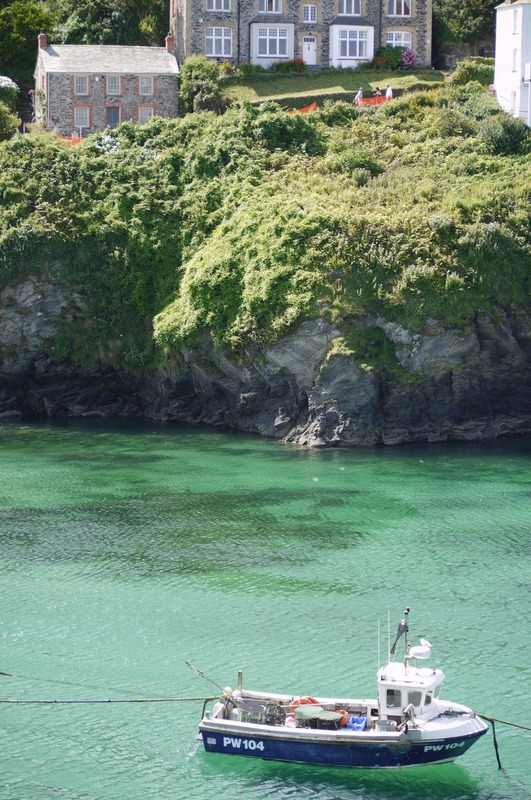 I can highly recommend you also check out 'Kynance Cove' on the lizard for it's natural beauty and the Helford river for it's.... natural beauty. I'm sorry I can't tell you about all the secret woods and beaches in public, but get off the beaten track and there are some real gems around. Enjoy Kernow! 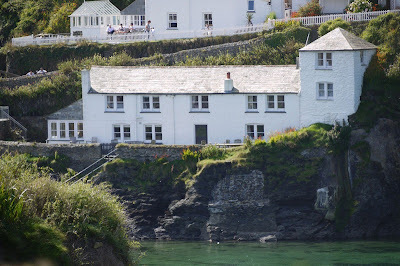 Doc Martin is our favorite show here in the States. My wife and I stream it online. Such a beautiful part of the English country. I wander if it was inundated by tourists due to the popularity of the show. Did you know Alastair that Martin Clunes had a very early (possibly earliest) TV appearance in Doctor Who 'Snakedance' during the 80s. He also did a great documentary on the Islands of Britain, travelled across the Shetlands and Hebrides, fascinating places. Matt: yes, I've seen that clip of the youthful Clunes in full New Romantic garb. 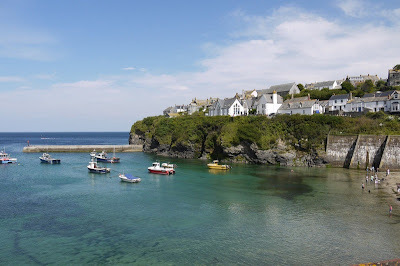 AshRolls - I was raised in Cornwall, as it happens - my family moved down from Wales shortly after I was born, so to some extent it was a homecoming. We lived in and around Truro. I hadn't been back in nearly 40 years but I immediately recognised bits of Truro and certainly the look of the high and windswept countryside. It certainly is a marvellous part of the world. I would love to visit Doc Martin's house, although I don't think I'd eat Bert Large's food. Thank God for Netflix here in the states. I also use a VPN to use iPlayer and watch all my favorite British shows. I'm also watching "Rebus" now. Great show! No one in their right mind would eat Bert Large's food. Never seen Rebus, oddly enough.